It’s probably possible to calculate the number of e-mails sent eac h day, but I sure can’t do it. I’m just assuming that figure is very, very high. But does each one of the gazillion e-mails sent each day need to be perfectly written and use proper etiquette? Apparently not—but only if you’re Jeff Bezos or Mark Zuckerberg. According to a recent article on Business Insider, “strategic sloppiness” is acceptable among the higher-ups within an organization. In other words, Michael Bloomberg can get away with abbreviating “thanks” by shortening it to “tx.” And so can mere mortals who are well known to one another. But in general, e-mails need to adhere to proper grammar and spelling as well as the rules of etiquette. Although e-mails can adopt a casual tone, most of us should follow these basic rules. 1. Avoid the ultra casual approach (i.e. no proper greeting, poor punctuation, or use of emoticons) with strangers, bosses, and older workers. Ditto when applying for a job. 2. Use a clear subject line that gives the reader enough information to decide when to open the email. 4. Limit use of exclamation points to avoid coming off as immature. 5. Be careful about using humor. What is obviously funny to the writer may not be so to the reader. 6. Proofread and check grammar. Mistakes such as using “your” for “you’re” can make the author appear sloppy or worse, relay incompetence. Discussion: How might a future or current employer interpret an overly informal email from a young employee? While some organizations may overlook one grammatical error in an email, how do multiple errors reflect on the author? 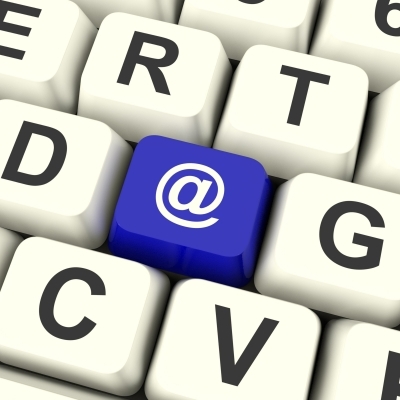 Why are concise, clear subject lines so important? Sources: Giang, V. (2013, Oct. 27).7 email rules that every professional should know. Business Insider. Retrieved from http://www.businessinsider.com/email-etiquette-rules-barbara-pachter-2013-10. Giang V. (2014, Jan. 9). What looks like bad email etiquette could actually be ‘strategic sloppiness.’ Business Insider. Retrieved from http://www.businessinsider.com/email-etiquette-and-strategic-sloppiness-2014-1#ixzz2q3F10tjY.